One of my most favourite quotes of all, from one of my most favourite book characters. 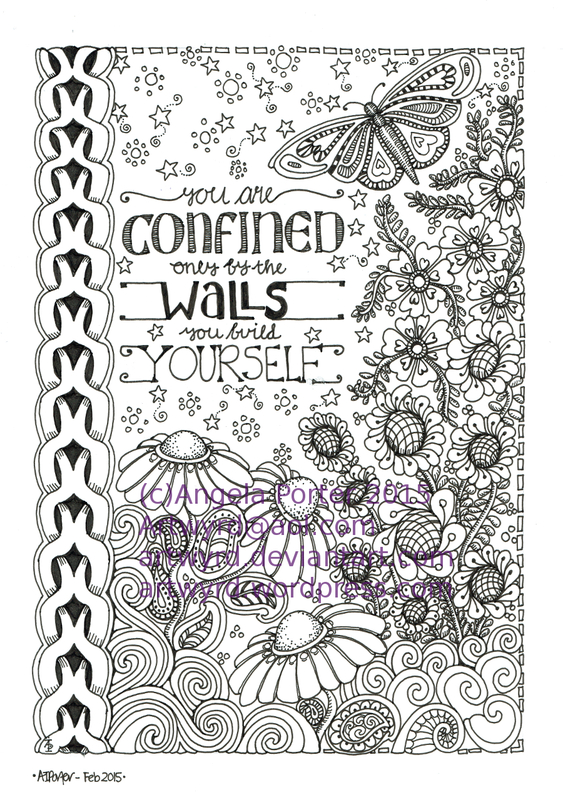 I printed the words out using Publisher, and then I added the design around them by hand, using a Sakura Pigma Micron PN pen. I have scanned the finished image in, created a transparent background, and filled the background with a rainbow gradient for now. It’s going to be a long term project to colour it in as I’d like it, though I’m not sure how that is going to be. Having said that, a rainbow gradient may be the most appropriate colour scheme of all for this. I think I need to learn a lot more about typography and setting out words in a quote, however. That will come with time should I choose to continue to use fonts and computers to generate the wordage for an illustrated quote. As always, I’d be interested in hearing your thoughts, suggestions, advice and so on. Definitely got some #weekendvibes going on here!